Apartment for Rent in Karachi, Sindh. Bedrooms: 7. More Information and Features: Designs of Wedding Invitations. 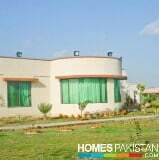 House for Rent in Karachi, Pakistan. Rs: 25000. Type: Residential Purpose: Rent Location: Malir City: Karachi. 2 Bedrooms. 2 Bathrooms. 1 Floor.